Synopsis, Our Opinion: An interesting and delicious blend that should have wide appeal. Producer/Winery: Aziende Agricole Planeta; Menfi, Italy. 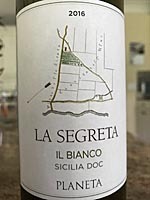 Grape Variety: Sicilian white blend – 50% Grecanico, 30% Chardonnay, 10% Fiano and 10% Viognier. 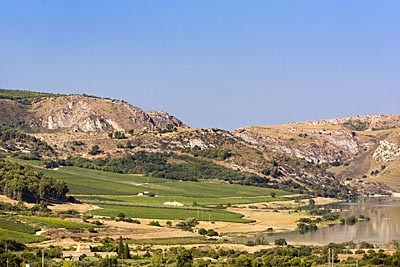 Geographic Appellation, Region, Country: Sicilia bianco; Sicily, Italy. 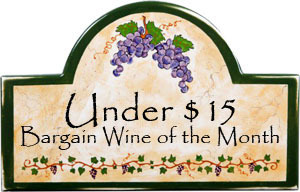 Paired With: Pan fried catfish, baked potato and garden salad with feta cheese. Chilled before opening. Clear, wheat straw color. Strong ripe melon and citrus aroma with hints of Gooseberry. Fresh, tart, light to medium body and a 200-grit texture. Yeasty, melon flavor with lesser amounts of lemon and tart apple. Crisp acidity and a long tart, almost bitter finish. This was the only wine we bought at a Bistro B wine dinner and it really stood out from all the wines served at the dinner, just as it did tonight with the pan fried catfish. The tart citrus and gooseberry was very reminacent of a New Zealand Sauvignon Blanc, but it wore thin quickly and was far better with food than sipping after the dinner. However, at this low price point it was a good value and an interesting and delicious blend that should have wide appeal. 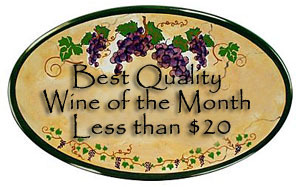 Comments: Learn more about Planeta and their wines. Imported by: Palm Bay International; Boca Raton, Florida.